If I am reading it right, Amex ICC cards are also not affected. So you can still get sign-up bonus on ICC Plat. Boo. Time to cancel my cards then to start the clock ticking! This will mean a major rethink of my spending – I can’t imagine a scenario where I put through the same amount of spend through Amex though. ….. a change of rules …. a change of strategy??? 1) What’s your understanding of qualification for the cards as a business ie does it need to be VAT registered or simply registered at Companies House? 2) What happens to the Amex mileage rewards when earned ie can they be transferred to your personal Avios account or can they only be transferred to a (new) business Avios account (or can they be merged with a BA family account). p.s just wondering what the impact is on BA as HfP readers must currently occupy and pay taxes / fees etc on a small but significant number of Club World and First seats? Potentially availability will improve but a drop in (reward) seat customers as well – perhaps? I’m assuming amex would of had to talk to BA about this as this will have a impact on them for sure. BA have made it no secret F is full of too many people on redemption – so it’s being reduced in terms of seat count and this may also be part of the plan. Am I thinking too much into this? 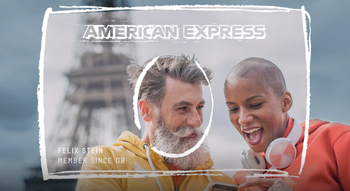 This is the end of this game for me anyway – I’ll be ditching amex in a couple of months and just get some free avios in 24 months. Any news on referral bonuses? I feel that this makes the Platinum Charge Card more valuable as you can earn 90k MR every year through referrals. What about points for upgrade from gold to plat? I’ve got gold just a week ago, if in few months time I’ll request plat upgrade, can I still get bonus points? He’s probably got a gold charge card from before like I have, so the upgrade works. I just asked this but I think it will get lost in the massive chain of comments lol. Breaking it down logically, you should be able too I think…I was not going to bother doing this, but I’ll have too now, it will be my last major chunk of avios for a while. It was somewhat inevitable that it was going to happen. I cancelled my Gold card earlier this week and had a reminder in my diary to reapply in six months! Never mind eh. I still have the BA free card, I may just keep it and accept the big bonuses are over as I like having access to Amex presales and the lounge at the O2. I got the rewards card a month ago and just about to hit the £1000 sign up spend. Held a preferred gold about 2 years ago. Will this stop bonus? No, I very much doubt it as you applied when the six month gap was still in force. Yes, you signed up under old terms. Do you mean gold or plat? Benefits you refer to are part one, part the other. If plat, each of you can get a bonus every two years provided you have not held the other MR cards within the two years. Holding other cards is ok. The churn cycle will be 24m not 12m. It’s over Rob. Might as well pack up the site. Devaluations have been bad enough in recent times both for hotels and airlines to the point where Avios collecting for non-business travellers like me, was becoming marginal, especially with some of the emerging cheap-ish business class offers that appear throughout the year. Up until now, it was relatively easy to churn / refer 100k Avios a year but it is now impossible and so the game is well and truly over. To be fair, thanks to you, we have had 6 years of flying First and and Business and it’s been amazing. Got 160k Avios and one more 2-4-1 to use up (and almost 200k of Virgin miles that I am sat on awaiting for Air France to join that party) and that will be it for us. So, one last final thank you for all your hard work, we are truly grateful! Speak for yourself. Carry on Rob! Plenty of us earn points in other ways than churning. Exactly… but hey the more that throw in the towel now makes finding reward flights easier for rest of us. I don’t fly for work, im a real low earner as in I’m my Mums carer who has dementia and I’m not wailing into my cuppa Adapt or die as they say. Surely the value of advice which helps to ‘maximise your miles’ increases when those miles are harder to come by? Indeed, lounge reviews from Southend etc don’t really float my boat so I’m not sure I’ve much use for the site going fowards. I’ve had some good tips from this site over the years so thanks for that, but I don’t think most need help to find cheap business/first flights in order to earn miles, which will be the main source of points from here on. It’ll certainly make the hobby more interesting. I enjoy the chase perhaps as much as enjoying the benefits. Exactly, it’s the challenge going forward for us, to make it keep happening. So we will need Rob more than ever! The more that give up, leaves more seats for those who persevere. Agreed. And the referral points are not going just yet. With referrals you can probably earn as much. You just need to change the strategy. And if you follow the site you actually learn about various strategies even in those Southend lounge reviews. It’s only a matter of time before the referral points go too, as it will no doubt be abused even more that it is already. It’s like the scenario with Tesco points, how many people use the sister site now most of the earning opportunities have gone? People will still earn miles but more so via paid flights, and there are better alternative sites that cover those already. Hey! The whole world operates with limited churning. I think the UK was the only country with such generous churning. But the sign up bonuses are FAR more generous in the rest of the world. Maybe in the USA and Australia. In the USA is once in a lifetime. You’ve probably earned more sign up bonus in the UK churning than in the USA. Don’t know in Australia. In continental Europe, the rules are similar to the new UK rules. BTW, USA =/= rest of the world. Signup bonuses in Aus are repeatable, on a 12-18 month cycle in general (Amex is 18 months). Most banks have the no-other-cards with us within 12-18 month clause, except ANZ, which operates on a “no bonus for cards in the same reward currency within the last 12 months” basis. Not a chance, think differently Ralphy, it’s game on 🙂 Big aspirational goals focussed through one or two schemes are obviously more difficult, however, think diversified portfolios for both miles and points, and miles-earning discounted premium fares. Will still be possible to do a lot of damage with this hobby , just one of the main rules has changed. Going forward I will probably be looking to pay cash for the big flight and save on hotels and regional flights. When one door closes, another opens. I’ve got nothing to base that on, just trying to be positive! Correct. This hobby is very dynamic. You just need to adapt to continuous changes. I think I get more Avios from referral bonuses than sign up bonuses, so annoying, but not the end of the game. Tesco chillies? I did the cabbages and the Mr Muscles.